It all began several decades past, when a young man by the name of Michael Crowley was raised in the heart of the Bluegrass Country in Lexington, Kentucky, son of a pharmacist who doubled as a consultant to great horse trainers and breeders alike. Young Mike spent countless hours growing up around the likes of horse racing’s most elite equine athletes and so his love and passion of these majestic beasts began. Little did Mike know that on the West Coast, in Southern California in the town of Arcadia, a young girl lived just blocks away from “The Great Race Place” Santa Anita Race Track and her passion too was her deep and profound love of all things horse! As Mike later became involved in Pharmaceutical Sales after college, he had the opportunity to live all over the world…Helsinki, the UK, Israel and France…where he fell in love with his other life’s passion…an affair of the heart with the elixir of the God’s, fine and formidable wines. Mike spent a fair amount of time in the Bordeaux region of France where he cultivated his palate for the refined wines of the appellation. In Bordeaux the concept of “terroir” plays a pivotal role in wine production with the top estates aiming to make “terroir” driven wines that reflect the place they are from, often from grapes collected from a single vineyard. The soil of Bordeaux is composed of gravel, sandy loam and clay. The region’s best vineyards are located on the well-drained gravel soils that are frequently found near the Gironde River. An old adage in Bordeaux is that the best estates can “see the river” from their vineyards. The majority of land facing riverward is occupied by the finest wine producing estates in the region. 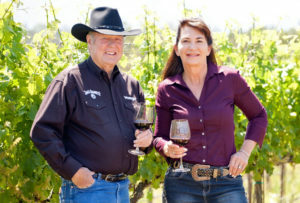 While Mike was in France cultivating his passion for Bordeaux varietals, Peg was pursuing her interests in the equine world and developing a love of estate reserve Cabernet’s primarily from her travels throughout California in Napa-Sonoma, Paso Robles and the Santa Ynez wine regions. Fast forward many decades when these two horse and wine loving free-spirited singles bumped into each other and immediately began sharing their interests about their passions and had their first date at an upscale wine tasting in Del Mar, CA. Not long thereafter the two became engaged and married and they formed a biotech company based upon their past experiences in sales and pharmaceuticals. But they always explored their passions when time permitted by traveling primarily to the Central Coast on wine pilgrimages and on occasion to France & Napa to continue to refine their palates and explore the possibility of one day realizing their dream to produce a very special and unique wine under their own label. After searching for just the right plot of land in the Santa Ynez Valley, Peg and Mike’s plans to develop an elaborate equestrian center and a winery finally came about and PEGASUS Estate Winery was born. Peg and Mike sought to obtain land similar to the wine growing regions in Bordeaux and when they found a hillside sloped location, rich fertile soil as the site of a former cattle ranch operation for 100 years prior to their arrival, facing all of the afternoon sun and protected from the winds, with a terrior composed of sandy loam with areas of gravel and clay, overlooking a beautiful flowing creek, they knew that they had reached Mecca! Similar to the best vineyards in Bordeaux, they began to create their equestrian center and their vineyard from as they acquired the very finest of root stock compatible to the growing conditions to achieve a single vineyard estate grown Cabernet Sauvignon, sourced from no other no other varietal and or location, pure and unique in nature. With their tenacity and their drive that only the “very best” would do, Peg and Mike were determined to hire ‘Wine Making Royalty,’ the legendary Ken Brown. A third generation California native, Ken enrolled in a graduate enology program in 1974 and led a research program at Cal State Fresno in the school vineyard and winery. 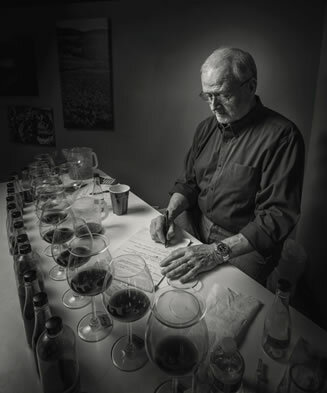 After graduation, Ken accepted an offer to become Zaca Mesa Winery’s first winemaker in 1977. His wines were highly acclaimed and he was one of a handful of winemakers to catapult Santa Barbara County into an established appellation. Lured by the appeal of making great regional wines Ken founded Byron Vineyard & Winery in 1984 in the Santa Maria Valley of northern Santa Barbara County. Byron Winery enjoyed early success and gained national recognition for their wines, including highly sought after award winning Cabernet Sauvignon as well as Pinot Noir and Chardonnay. Ken sold Byron Winery to the Robert Mondavi family in 1990. Over the next decade, Ken and the Mondavis embarked on an extensive experimental vineyard program featuring various rootstocks, clones and planting densities and built a state-of-the art winery in 1996. Now, with land that appealed to their desire to create a Bordeaux style estate grown reserve Cabernet Sauvignon, the finest of rootstocks available for their pursuit and a world class winemaker at the helm, Mike and Peg set off to establish, create and showcase their Pegasus Estate Cabernet Sauvignon whose label was inspired by none other than “Dharbe” their award winning Arabian Quarter horse who graces their wine label! Their first release was their award winning 2010 Cabernet Sauvignon. Featured at the Hidden Gems of California Wine Competition which featured boutique wineries throughout the entire State of California, PEGASUS Estate 2010 Cabernet Sauvignon not only won the Blind Tasting competition hosted by three ranked judges against ALL other wines at the event hands down, but it also won Best In Show as voted upon by all of the attendees at the show who voted upon the very best wine at the entire show, up against every winery, every varietal, every vintage release!!!! Naturally, after those accolades the vintage quickly sold out! Many more competitions and awards were to follow for their 2010 and 2011 releases, including the acclaimed San Francisco Chronicle Annual Wine Competition, Women In Wine Competition and the prestigious San Diego International Wine Competition among many others. The PEGASUS vineyard is surrounded by 400 rose bushes, 100 various fruit and nut trees including apples, plums, peaches, pears, cherries, nectarines, persimmons, almonds and walnuts. 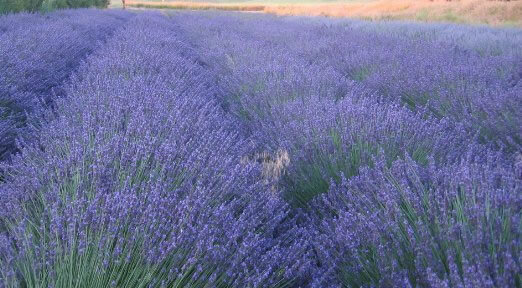 Bordering their 450 foot wide creek bed was planted 5,000 Honeysuckle Vines & adjacent to the vineyard is an old growth Eucalyptus grove & a flowing field of grosso lavender. The PEGASUS 2011 Cabernet Sauvignon has many influences from the exposure of these many elements surrounding the vineyard as well as the rich and vital terroir of the land. At first, experience the bouquet, the incredible floral nose on this elixir which has been referred to as “wine aroma therapy” by various consumers! You will notice and enjoy these floral notes as you swirl your goblet and indulge in the bouquet of this vintage and single lot varietal. Then as you let the wine coat your palate in smooth richness, you will find this vintage equally complex and yet balanced with the perfect array of tannins and acids, soft, lilting, approachable…not bawdy, gargantuan and overpowering like Cabs that you will find from the Napa wine region. Generous in flavors, PEGASUS Estate 2011 Cabernet Sauvignon is inviting with relevance and a prominence unlike any other. Aged 18 months in French Oak barrels, deceptively full bodied, hints of the stone fruit, a fine Cohiba and supple leather can be detected. The finish is earthy and will last on your tongue leaving you longing for more. 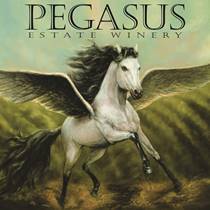 PEGASUS 2011 Estate Cabernet Sauvignon is a beautiful expression of the culmination and creativity of the Crowley’s pursuits of fine wines and their love of horse’s and of the extraordinary talents of the region’s ultimate winemaker, Ken Brown. This is a unique and extraordinary experience, available in extremely limited production…garagiste at its absolute finest! Our most recent accomplishment: On May 23rd and 24th at the Westgate Hotel hosted the San Diego Critics Challenge International Wine Competition which is judged by a host of wine industry experts including noted Sommelier’s. On May 25th, 2015 we were notified that PEGASUS Estate Winery 2012 Estate Cabernet Sauvignon won GOLD and a 93 POINT RATING!!!! PEGASUS Estate Winery is centrally located in the heart of the Santa Ynez Valley in the town of Solvang. Tours to visit winery are by scheduled request. Beautiful recreation area with Bocce Court and Horse Shoe Pits and picnic tables, Gazebo and night lighting are available for the enjoyment of our guests.